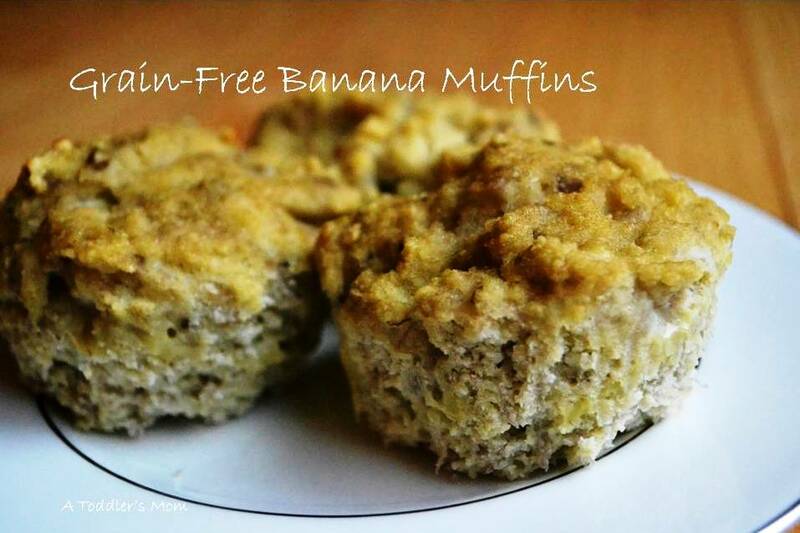 We make these banana muffins several times during the week for breakfast or for a quick and healthy snack. These little muffins are so good that you would never know that they only contain three ingredients. They are light and moist with a nice texture. Not only are they grain-free, they are also nut-free, sugar-free, soy-free, and dairy-free. When my husband tried to compliment me by saying that these banana muffins taste like real muffins, I just told him that they are real muffins. My little one also loves them and he is always so excited when I make them. This is also a great recipe for a busy mom since these muffins are easy to make and they freeze well. Blend all ingredients together and spoon into muffin cups. Bake at 325 degrees for about twenty minutes until an inserted wooden pick comes out clean. Enjoy!